How Do I Calculate My Income Tax Refund? 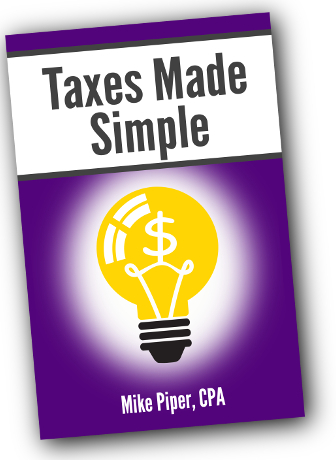 The following is an excerpt from my book Taxes Made Simple: Income Taxes Explained in 100 Pages or Less. Many taxpayers in the U.S. have come to expect a sizable refund check every tax season. To some people who don’t prepare their own tax returns, it’s a mystery how the refund is calculated. The idea is really quite simple. After calculating your taxable income, you use the information in the tax tables to determine your total income tax for the year. This amount is then compared to the amount that you actually paid throughout the year (in the form of withholdings from your paychecks). If the amount you paid is more than your tax, you are entitled to a refund for the difference. 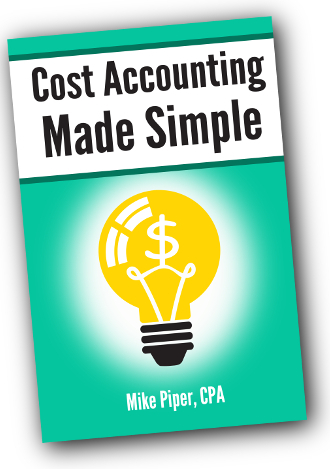 If the amount you paid is less than your tax, it’s time to get out the checkbook. The reason for this withholding is that the federal government wants to be absolutely sure that its gets its money. The government knows that many people have a tendency to spend literally all of the income they receive (if not more). As a result, the government set up the system so that it would get its share before taxpayers would have a chance to spend it. You’re probably right. That’s because your employer isn’t just withholding for federal income tax. They’re also withholding for Social Security tax, Medicare tax, and (likely) state income tax. The Social Security tax is calculated as 6.2% of your earnings, and the Medicare tax is calculated as 1.45% of your earnings. Before you’ve even begun to pay your income taxes, 7.65% of your income has been withheld. Your refund is determined by comparing your total income tax to the amount that was withheld for federal income tax. Assuming that the amount withheld for federal income tax was greater than your income tax for the year, you will receive a refund for the difference. EXAMPLE: Nick’s total taxable income (after subtracting deductions) is $32,000. He is single. Using the tax table for single taxpayers, we can determine that his federal income tax is $3,649.50. Over the course of the year, Nick’s employer withheld a total of $8,500 from his pay, of which $4,000 went toward federal income tax. His refund will be $350.50 (i.e., $4,000 minus $3,649.50). Every year, your refund is calculated as the amount withheld for federal income tax, minus your total federal income tax for the year. A large portion of the money being withheld from each of your paychecks does not actually go toward federal income tax. Instead, it goes to pay the Social Security tax, the Medicare tax, and possibly state income tax.